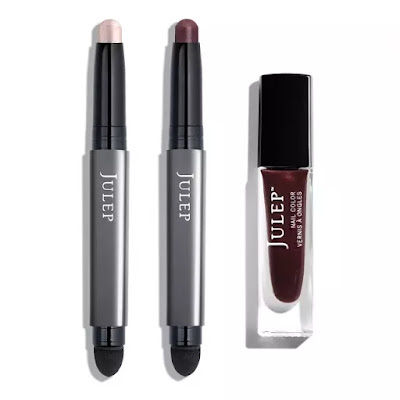 Another month, another collection of Julep products to look at. 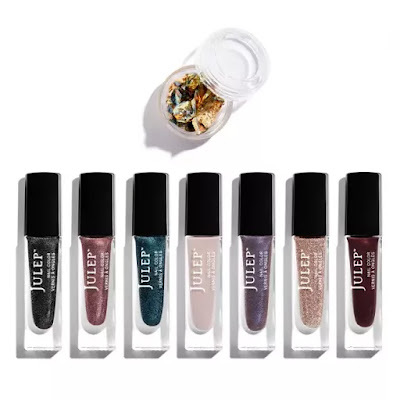 :) For November Julep is looking at a lot of fall-ready shades... Jewel tone metallics, a hint of shimmer and sparkle, some smokey eye shadows... 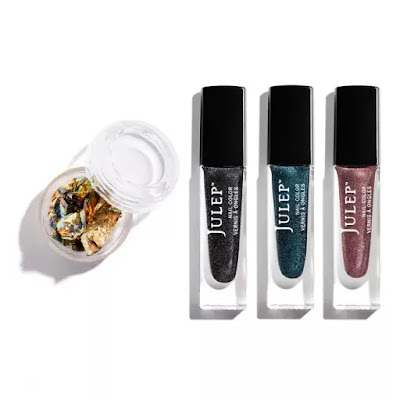 If any of those things speak to you then you'll want to check out all of the boxes up for grabs in this month's Julep collection! Eyeshadow 101 – Gunmetal Shimmer: A waterproof, crème-to-powder shadow stick on top with a spongy smudger on the other end. Eyeshadow 101 – Midnight Blue: A waterproof, crème-to-powder shadow stick on top with a spongy smudger on the other end. 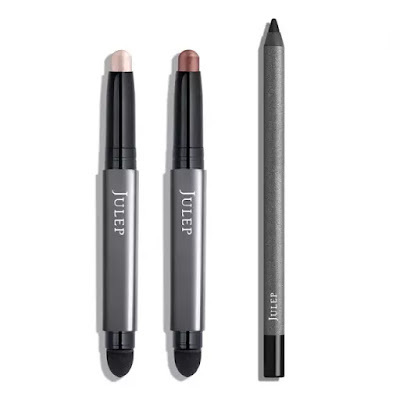 Eyeshadow 101 – Pearl Shimmer: A waterproof, crème-to-powder shadow stick on top with a spongy smudger on the other end. Eyeshadow 101 – Burgundy Shimmer: A waterproof, crème-to-powder shadow stick on top with a spongy smudger on the other end. Eyeshadow 101 – Copper Shimmer: A waterproof, crème-to-powder shadow stick on top with a spongy smudger on the other end. When Pencil Met Gel – Blackest Black: A waterproof eye pencil with the formula of a gel eyeliner that glides on smoothly without tugging or skipping. Marbled Gold Foil – A shimmering sheet of foil for adding DIY gold flecks to your mani. Eyeshadow 101 – Violet Shimmer: A waterproof, crème-to-powder shadow stick on top with a spongy smudger on the other end. Eyeshadow 101 – Evergreen Shimmer: A waterproof, crème-to-powder shadow stick on top with a spongy smudger on the other end. 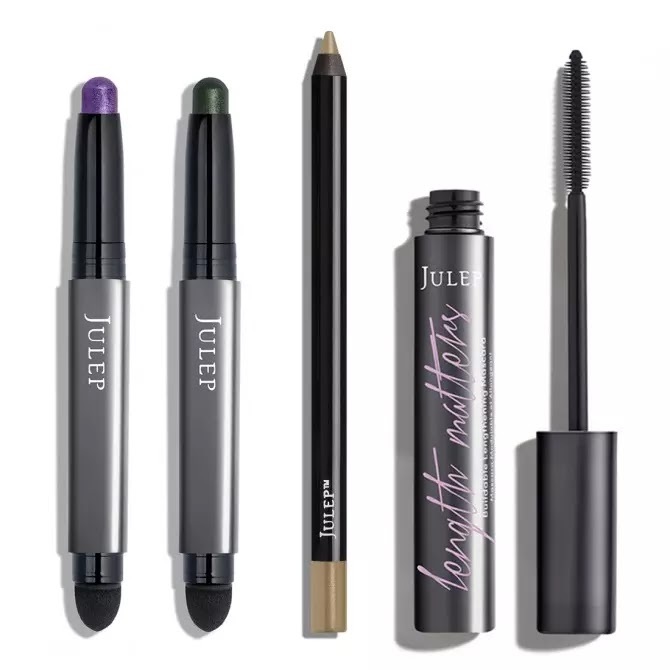 Length Matters: Buildable, jet black mascara with an extreme lengthening formula that coats lashes from root to tip. 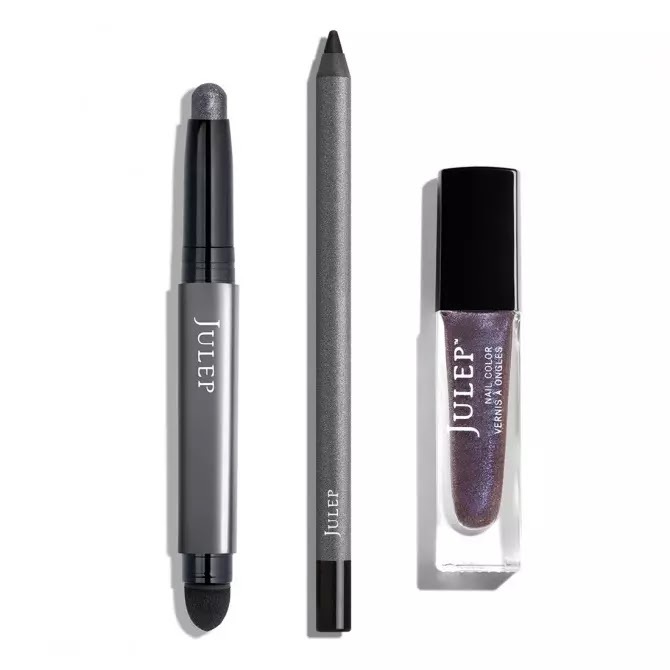 When Pencil Met Gel – Gilded Gold Shimmer: A waterproof eye pencil with the formula of a gel eyeliner that glides on smoothly without tugging or skipping. 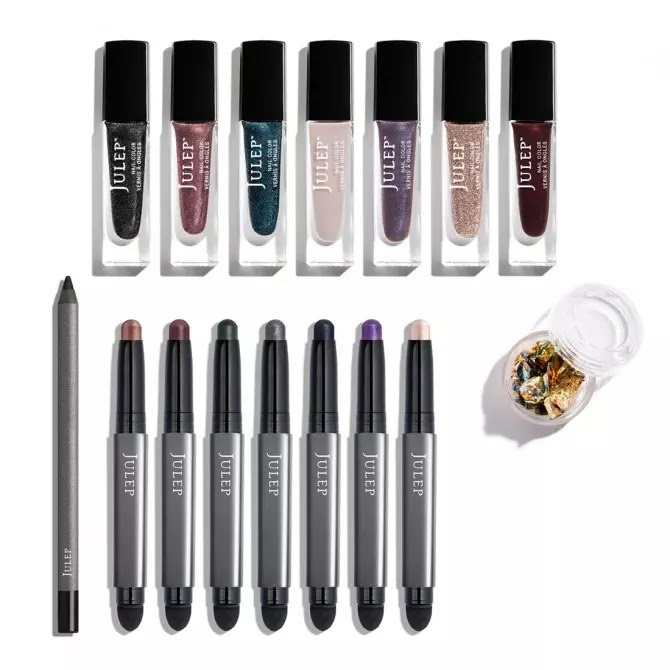 This box includes ALL SEVEN of our new Eyeshadow 101's – A waterproof, crème-to-powder shadow stick on top with a spongy smudger on the other end. 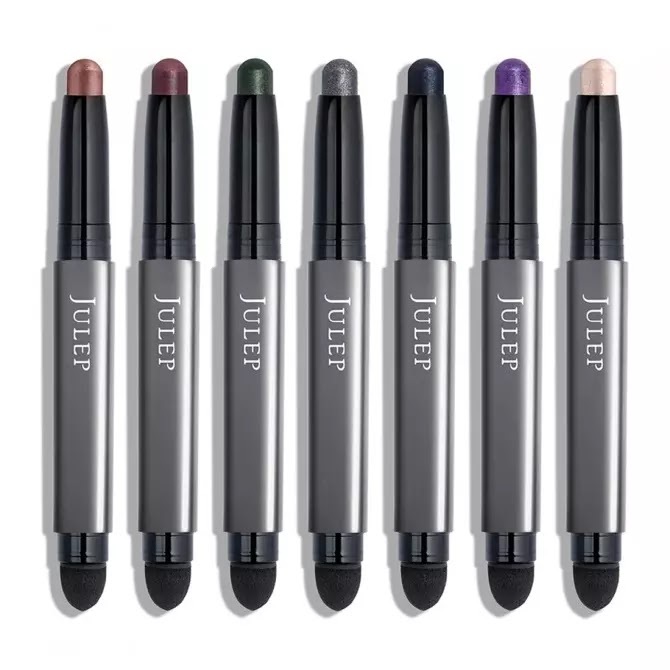 ALL SEVEN of our new Eyeshadow 101's - A waterproof, crème-to-powder shadow stick on top with a spongy smudger on the other end. Shades include: Copper Shimmer, Burgundy Shimmer, Evergreen Shimmer, Gunmetal Shimmer, Midnight Blue, Violet Shimmer, Pearl Shimmer. Join now and you can get your first box for free!